There is not much that needs to be written on this topic. The title really says it all. There is a lesson in EVERY trading session. 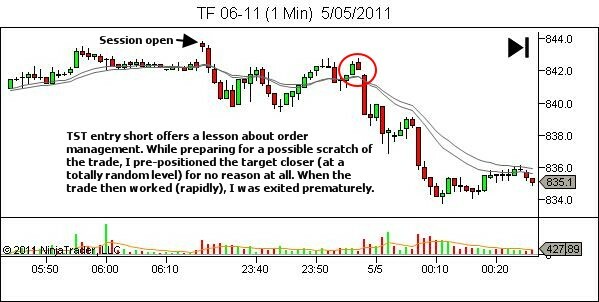 Your job, in maximizing your rate of development as a trader, is to find that lesson. Actually, there is more than one lesson in every session, but if you can get in the habit of finding at least one, every session, you’ll help with your growth and development in a massive way. 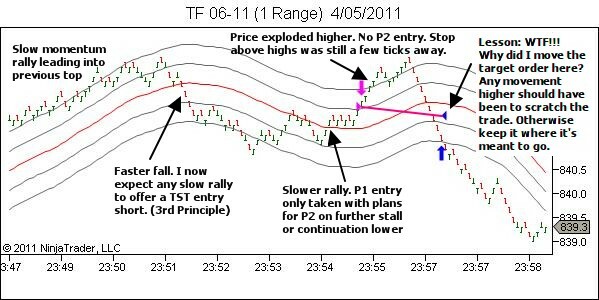 It might be trade related (either an example of a particularly well managed trade, or one that was poorly executed or managed). 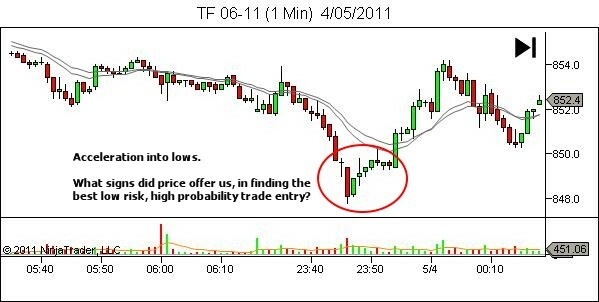 Or it might be simply a price action or market structure observation that is particularly cool. Whatever you find… and keep searching till you find at least one thing… study it. Let’s look at some examples from the last few days. 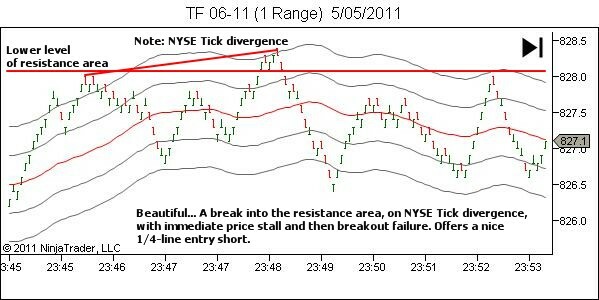 Please note: The timeframes, chart templates and strategy used in these examples will likely differ from that used by many readers. Largely this is irrelevant. 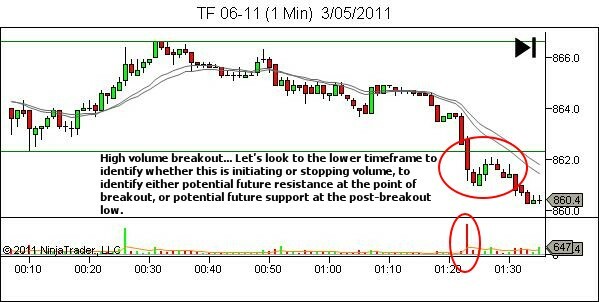 The lesson review concept applies to whatever markets, chart templates and timeframes you wish to use. 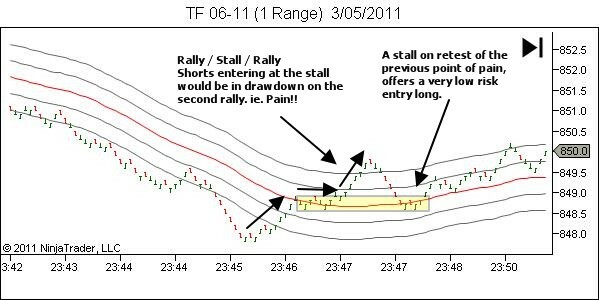 YTC Price Action Trader and YTC Scalper readers will obviously understand my decision making… everyone else will hopefully get something from the concept. 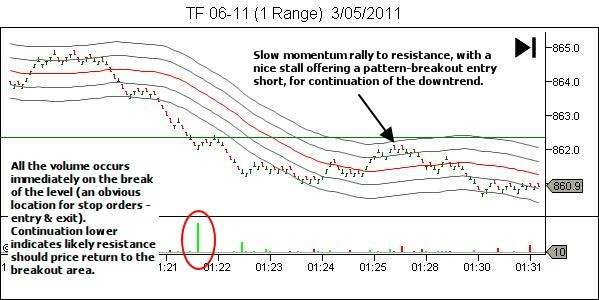 A particularly well managed trade demonstrating (a) entry on a slower momentum retest of solid resistance, at the point showing signs of potential stall below resistance; and (b) reduction of risk through partial profit taking, when movement stalled after entry (note: in this case history shows better results through holding till targets, but we don’t trade off historical charts; we manage risk in real-time). 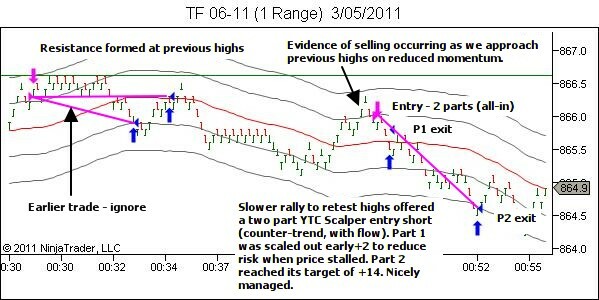 A review of a market structure feature – a reversal from exhaustion – aiming to identify the best location for a low risk, higher probability entry. The result could have been worse. I may have been stopped out, or I may have scratched at a reduced loss just seconds before the rapid price fall. Neither of those would worry me though. 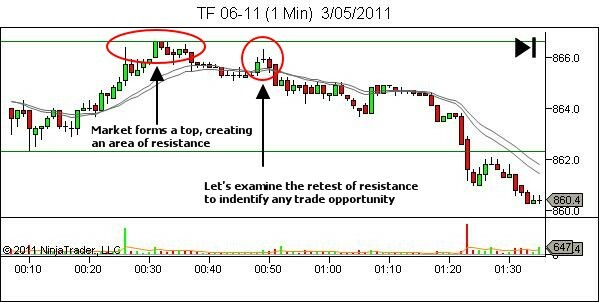 What I don’t like is random movement of stop or target orders, for no justifiable reason. 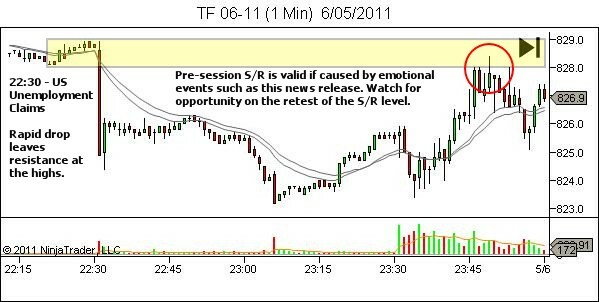 Using S/R from pre-session news events. Why not make up your own file of ‘trading session lessons’?